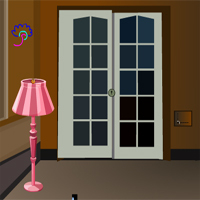 ZooZooGames Luxury Room Escape info about the game-Games2Rule. Margaratte went to dubai for a business trip. She stays in a emirates hotel which has high luxury rooms. You went to meet her regarding business plans. You entered into the room and door gets locked. Even Margaratte is missing. You are scared and tries to go out of the room but you are not able to move as the door is locked. Use your skills to escape the luxury rooms by finding hidden objects and solving puzzles with the help of clues. Good Luck and best wishes from zoozoogames.